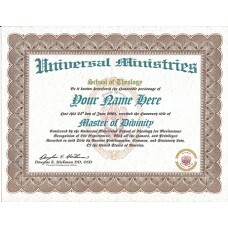 We acknowledge that your life experiences deserve to be recognized, therefore there are no courses required to obtain any of these degrees. 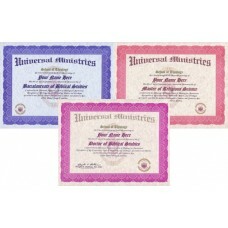 Our credentials are beautifully designed to provide you with professional quality certification. 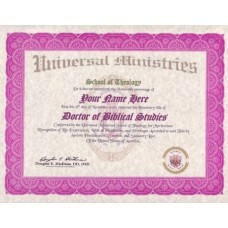 Currently, there are 2 different classes of Life Experience Degrees. 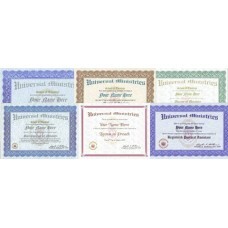 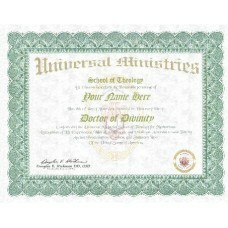 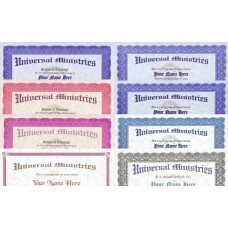 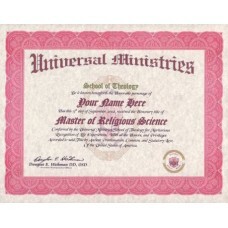 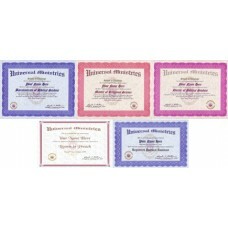 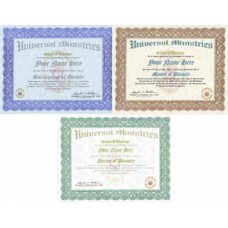 If you do not see the degree title you wish, contact Rev@universalministries.com and request the title of your choice. 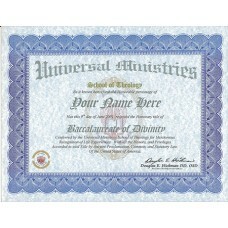 Personalized with the name you specify. 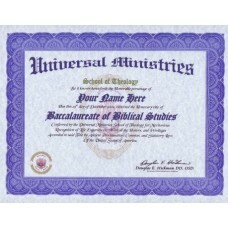 No Shipping ChargeChoose your Degree: Biblical Studi..
Personalized with the name you specify.No Shipping ChargeChoose your Degree:Biblical StudiesBiblical..
Personalized with the name you specify. 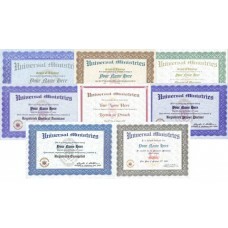 No Shipping Charge Choose from: Div..
Personalized with the name you specify.No Shipping Charge Choose from: Divi..